Living with chronic Lyme disease can be a challenge for both humans and horses, as both Bettina and her Quarter Horse stallion Vousy know. Once in the system, Lyme can easily reoccur resulting in a constant battle to keep the effects of the disease in check. Bettina’s student Christian Gundermann has just published an essay titled “Equine/Human Lyme Embodiments: Towards a Feminist Ecology of Entangled Becomings” that argues for a different perspective in the treatment of Lyme disease for humans and horses. 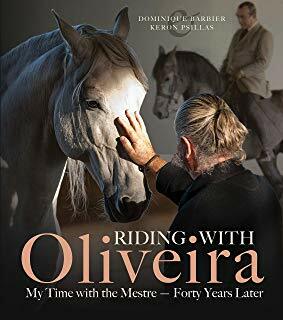 An enjoyable trip down memory lane was Dominique Barbier’s latest book, Riding with Oliveira: My Time with the Mestre – Forty Years Later, revisiting his couple of years spent in Avessada with the Maître , now as Mestre Nuno to his students in Portugal. It brought back the ambience of that amalgam of artist fervor and displayed and discussed technique , which made the time there so different. I also recalled the several instances of Dominique’s great kindness to the child I was, struggling to adapt from a very lively French family life to a colony of adults, all mesmerized around collective endeavor to equestrian higher education. 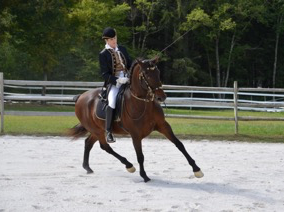 In the fall of 2018, while in France attending a colloquia at Saumur and coaching riders at the Cadre Noir and at Allege-Ideal, Bettina delivered a lecture at the Cadre Noir on the history of the French system of riding in the United States. It was also during that trip that she received the designation of “Honorary Écuyer” of Saumur with the Cadre Noir at the French National School of Equitation in Saumur, France. It was my great pleasure to receive as a late Christmas gift the very book published by Xenophon of my fellow Oliveira student Miquel Abrantes known as Miguel Tavora to his Australian students (his publishing name is Major Miguel de Lancastre e Tavora). 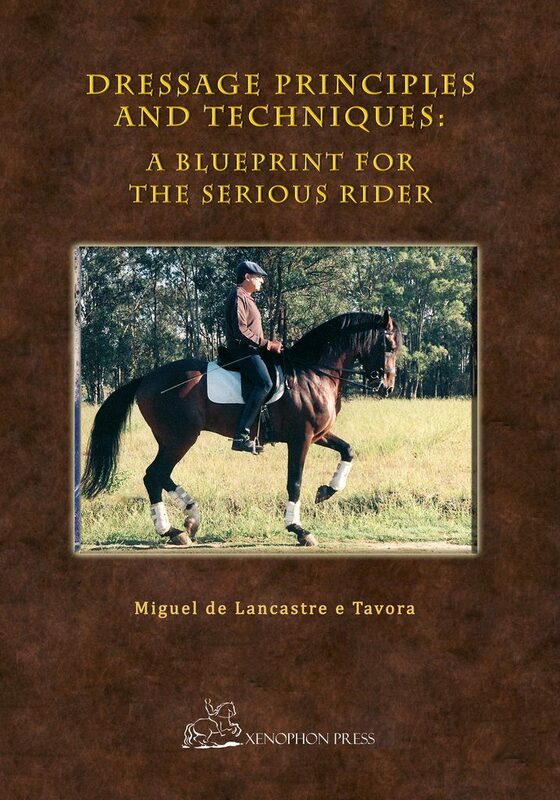 The book is Dressage Principles and Techniques: A blueprint for the serious rider. 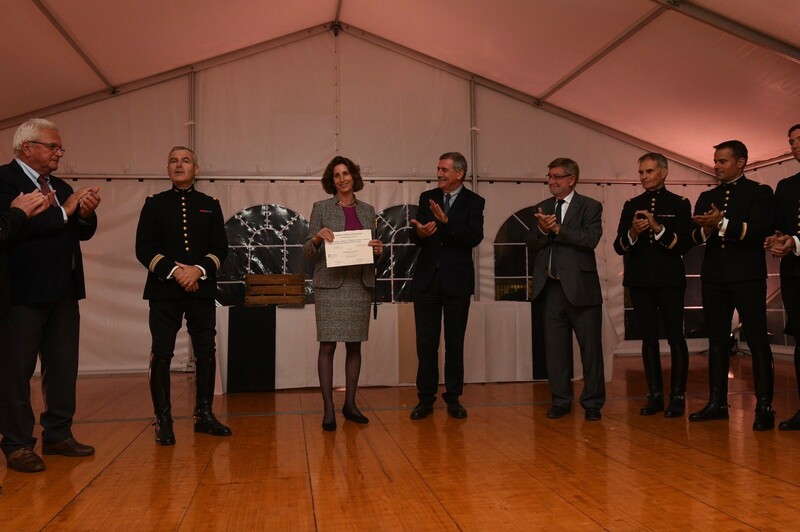 Bettina Drummond has been named “Honorary Écuyer” of Saumur with the Cadre Noir at the French National School of Equitation in Saumur, France. The honor was bestowed on Bettina while in France attending a colloquia at Saumur and coaching riders at the Cadre Noir and at Allege-Ideal. Bettina is only the second American to receive this honor. The other is George Morris. She is also only the second woman to be named Honorary Écuyer. The other is French Olympic dressage rider Margit Otto-Crépin. Jean-Marie Donard, former dressage rider, trainer and head stable manager with France’s Cadre Noir, passed away in August at the age of 69 from a heart attack. Donard was with the Cadre Noir for 25 years. 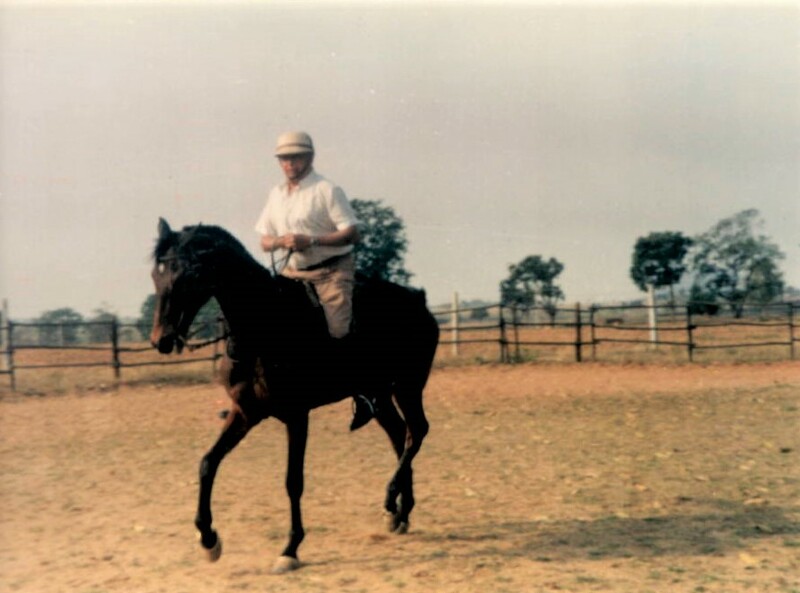 During those many years he held numerous positions including that of being responsible for training many of the Cadre Noir dressage horses. 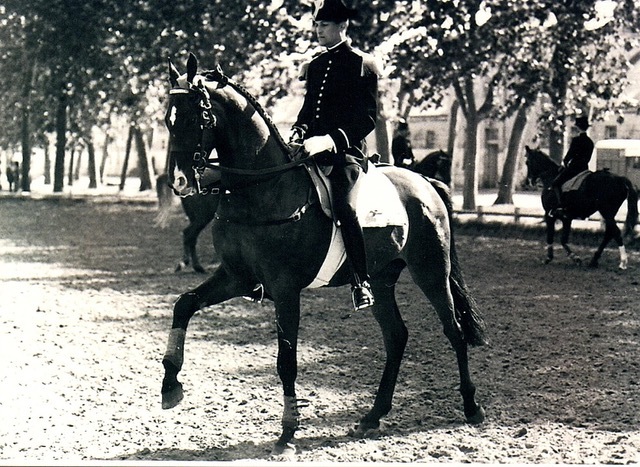 Donard also represented France in international competition in both eventing and dressage. He retired from the Cadre Noir in 1995 and spent part of his retirement years working on his book, “Le Guide de Dressage,” which was published in 2013.